Today’s figures are the Warmachine Gatorman Posse. They have a variety of weapons: the fighters have halberds and are in various poses, the witch-doctor leader, a necklace of bones and a feathered headdress. 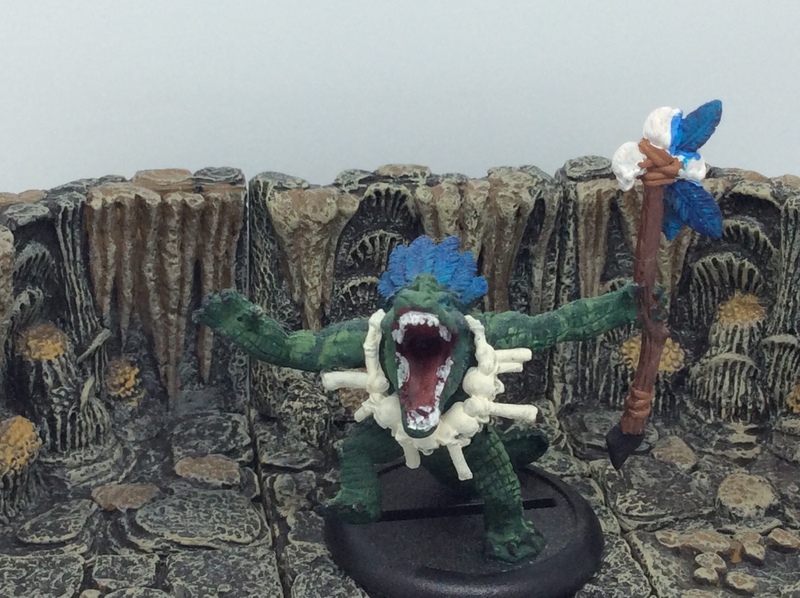 I had fun painting these figures, I doubt that I will use them in the Warmachine game, but they will work as lizardfolk for my homebrew Aquatica world. My variation of lizardfolk with be finished this week, so I will put a link here when it is complete.